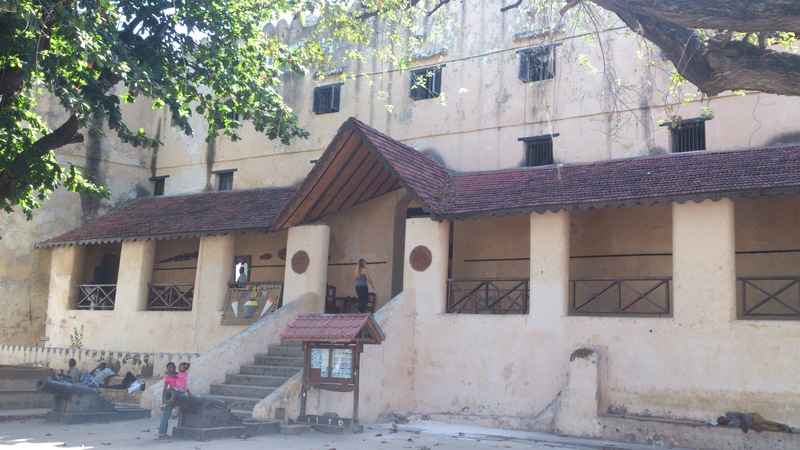 Lamu Tamu. This whole week, I will be shadowing Migz as he takes photos for Safaricom’s 2014 calendar challenge. Safaricom always finds a way to shine in its branding and for next year’s calendar; five of the best photographers in the country are tasked with capturing Kenyans in their day-to-day hustle. Migz of MagiqLens KE has Lamu/Malindi/Watamu, Mutua Matheka has Central Province, Allan Gachigi has Kisumu and the rest of Nyanza, Tom Otieno has Nairobi Region, and Isabel Gathoni has Rift Valley. Each has a producer and a blogger embedded to document the process and the magic. So, @CrazyNairobian, @KevdaNative, @Raidarmax, @Mwirigi, and I will live, breathe and exist #CaptureKenya this entire week from different parts of the country. If you know anything about Lamu, then of course you know this. 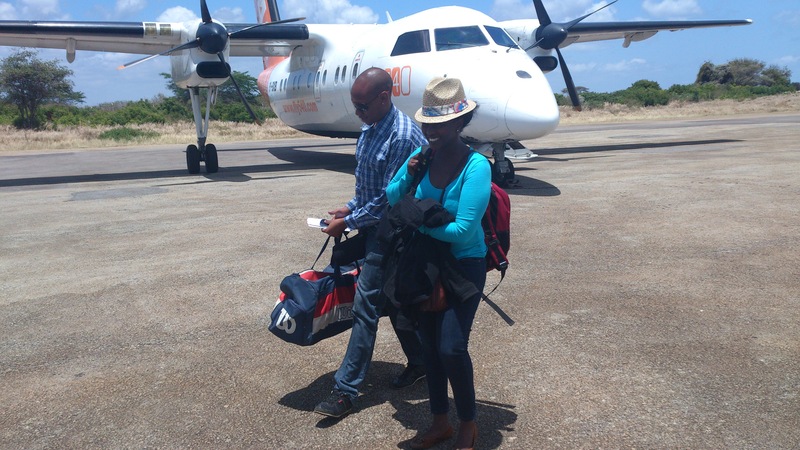 But this means Lamu Airport is not in Lamu, but on the neighboring island called Manda. 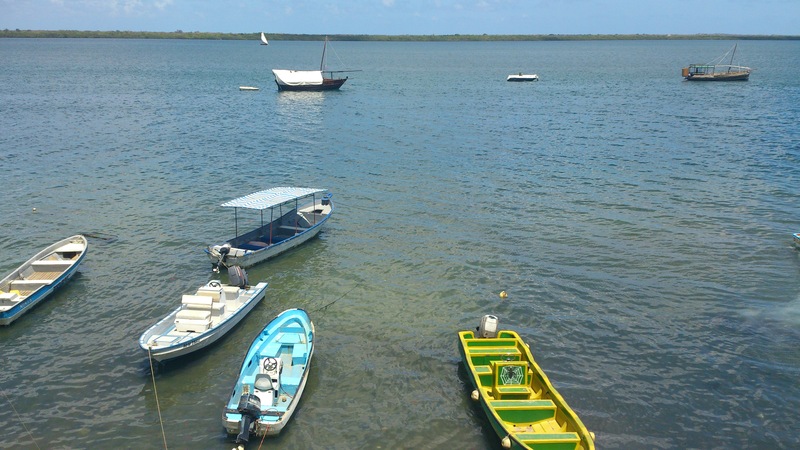 It is from the jetty that you get a boat across the channel to Lamu Tamu! This was Migz’s look when he discovered that the landing he thought was Lamu/Manda was actually the Malindi stopover. Then the turbulence in Manda just knocked him straight out. When we landed from the twerking plane. 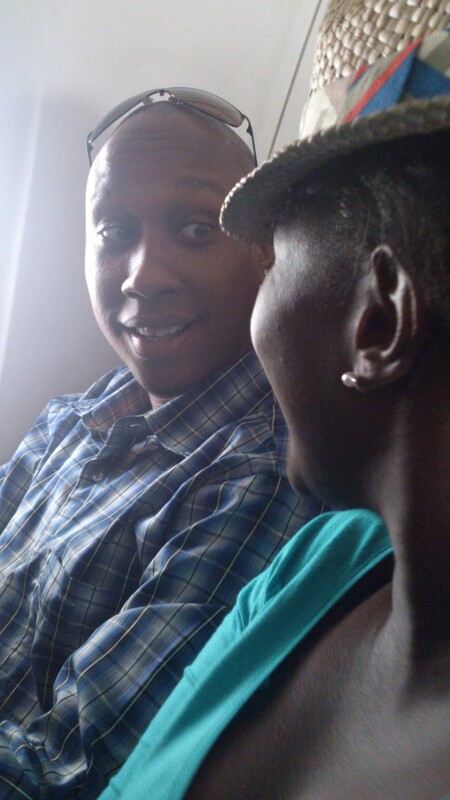 @Kevdanative pointed it out when we met in the check out cafeteria at JKIA. Still, nothing really prepares you for the kind of hospitality and friendliness you get from people who live in and around Lamu. Even a brief conversation about the project has to start with more than just the casual ‘hey.’ You have to start a conversation with a potential model with a brief conversation, and smile, always smile. The chief is this chatty, sharp guy with an awesome name (Fankupi). I think it’s spelt with the ‘I’ but the name mantel on his desk spells it Fankupy. 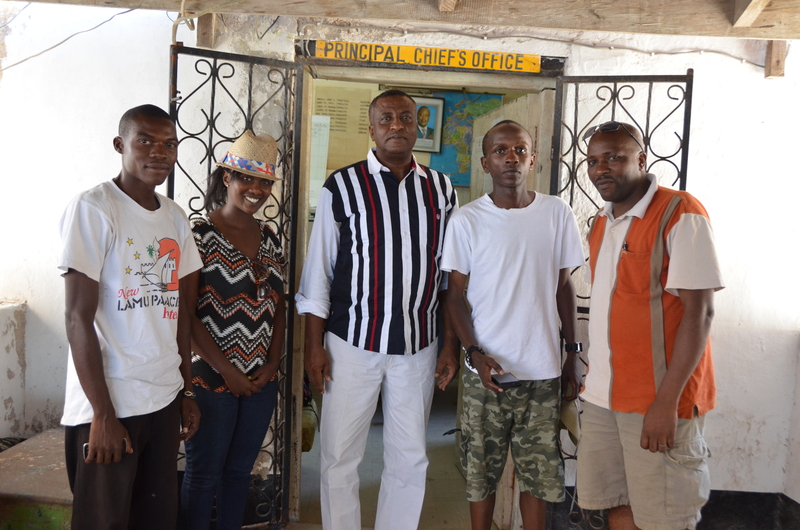 By the time we do the short courtesy call at the hotel next door where we found him and the short walk to his office to sign the visitor’s book, we know so much about Lamu that it now feels like home. Did I mention that he is a gadget head? He has a smartphone whose brand I couldn’t quite capture, but it looks like a HTC or Huawei; but that tablet on his desk was surely an iPad. I think I glanced at him using WhatsApp on his phone. 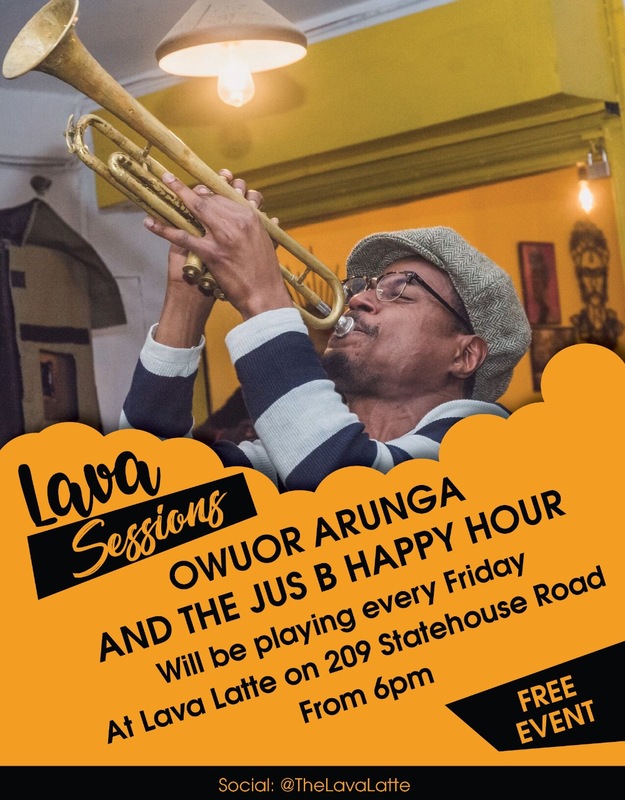 Lamu has 3G by the way. 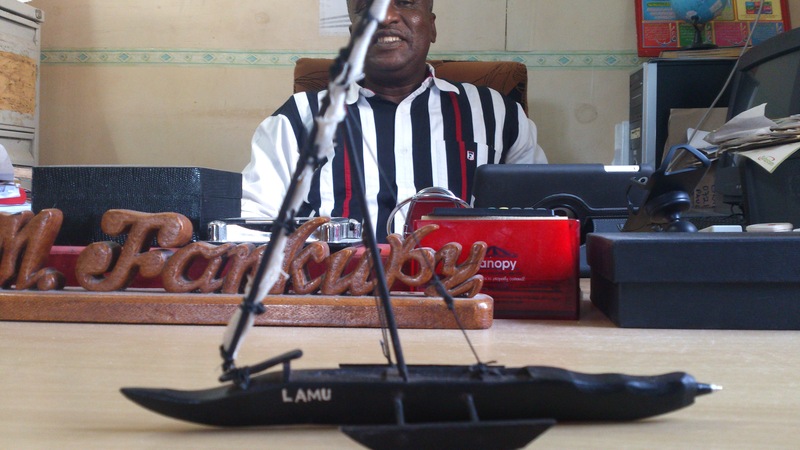 The most eye-catching thing in his office was this dhow pen though. It looks uncomfortable to write but he signs his official documents with it. We all thought it was for aesthetics but he told us it’s because he lost so many pens to visitors with itchy fingers that he sought a pen that was too conspicuous to steal. 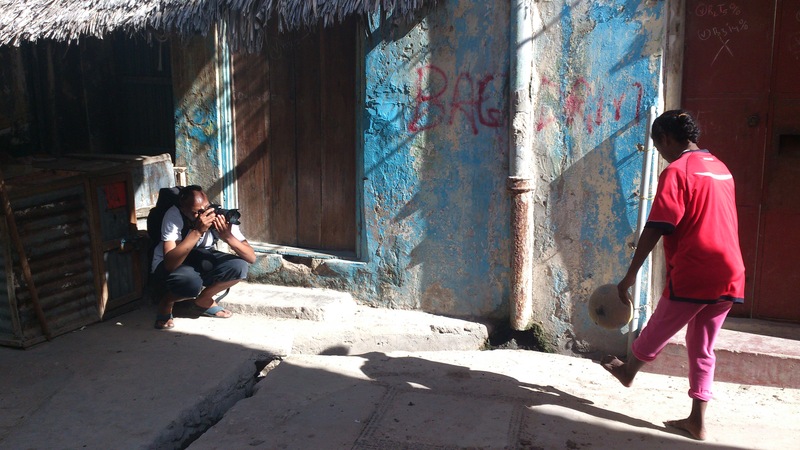 Because Lamu is a Muslim town, one cannot simply walk up to women and take random shots even of spontaneous moments. Other than the basics of etiquette that are emphasized here, it is important to handle female models with greater sensitivity than the male ones. In most cases, she must get first approval from her husband or father. But the men will readily offer you their wives as models or henna artists. This random guide we got, Cisqo, made sure his wife was nearby when we landed on the jetty from our evening boat ride to chase the sunset. Then we met a guy called Cisqo who seems to be the general factotum…and the guy can make a hard sell. She wanted to do Chela’s henna tattoos but she ended up signing up as a model. So it goes. Lamu’s narrow streets make it impossible to use vehicular transport here. Our logistics guy, Wachira, pointed out that there are probably five cars here-then one passed on the street at that moment. Which means we had seen 20% of all the vehicular traffic on this gorgeous island? Donkeys here are used to transport pretty much anything. Donkey taxis, donkey carts, donkey everything. I climbed on one when Migz and the rest of the team weren’t looking. The donkeys are mostly slender and the only saddle is a thin bag. I got off almost as soon as he galloped a bit and my pelvis started to crack. To think these guys are at it all day? 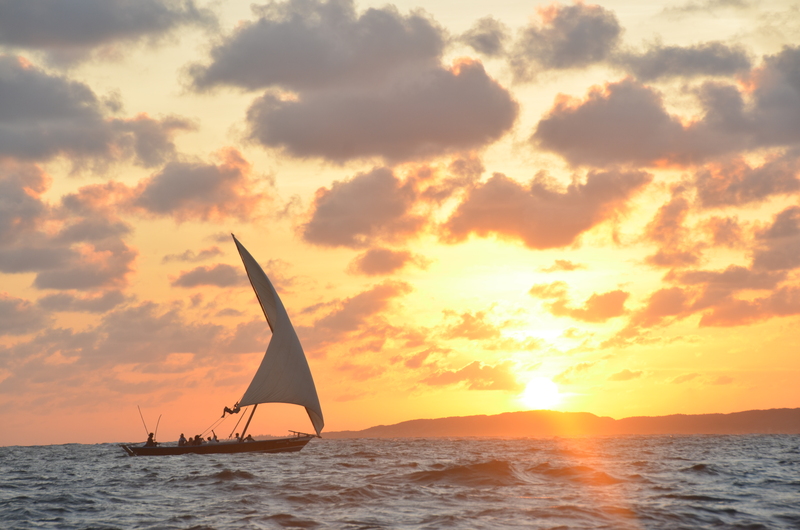 As one of the oldest surviving settlements in Kenya, Lamu is a history buff’s dream heaven! I have written so many stories of this place without ever being here. Every guide seems suspiciously conversant with the town’s heritage, and most get the facts right. The younger guys are hazier on the facts, quick to quote dates, but older guys like Chief Fankupy do it so easily and have so much to offer. 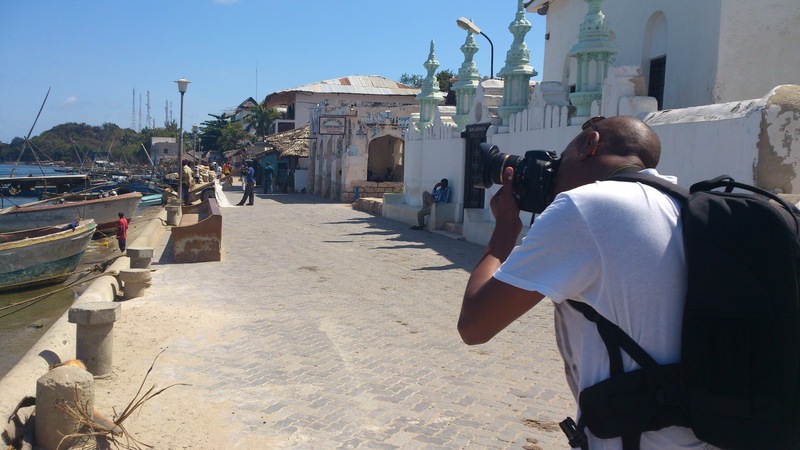 Lamu fort, Lamu square, the canons, the Old Town, the Present Town, Shela…you are spoilt for choice here. You are also spoilt for choice on guides. The younger ones are faster and more proactive, and will readily offer you deals before you even stop to talk to them. 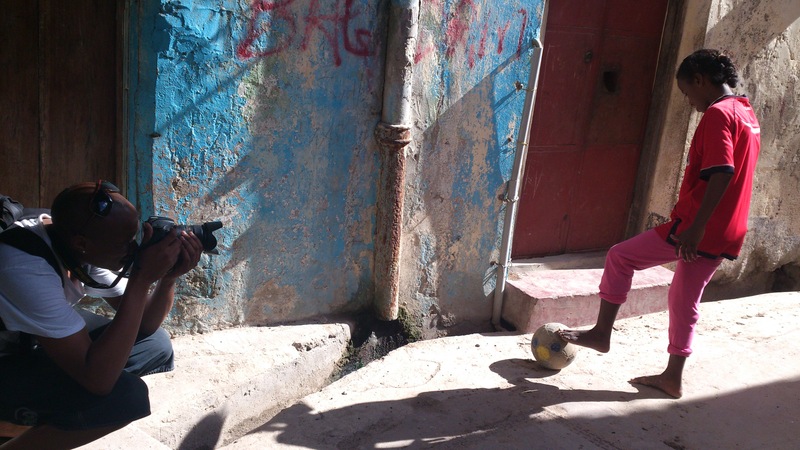 Nothing had prepared us for how important the afternoon siesta is to the people of Lamu. Almost every first contact we made; our guide Pascal, the chief Fankupy and a random boat guy, pointed it out. 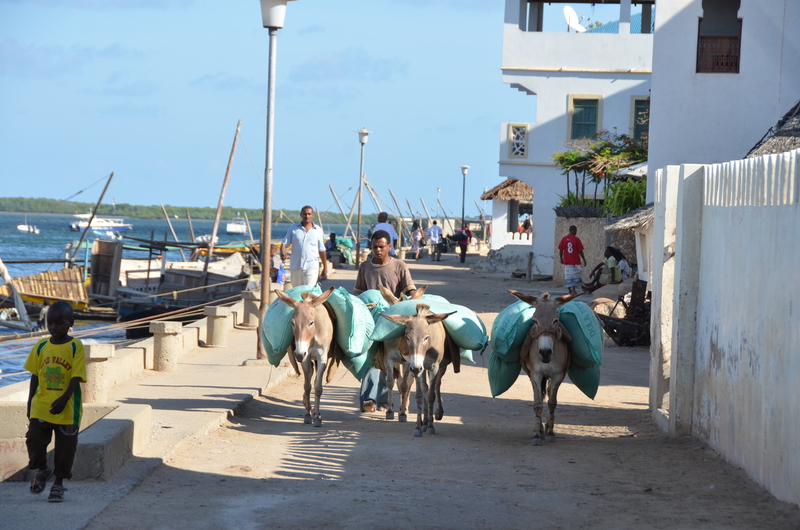 The people of Lamu take their afternoon siesta very very seriously. Migz can’t get many shots done in those few hours between 12.00 noon and 3.00 because the town slows down to a near standstill. People only wake up for those 4.00 pm prayers. Safaricom is using the #CaptureKenya challenge for the 2014 calendar. Join the different teams in their quests for the perfect shots on Twitter using the hashtag #CaptureKenya.